Mustad toeing knives are used to cut the horn. These polished toeing knives are available in 3 blade lengths: 280mm, 340mm and 360mm. 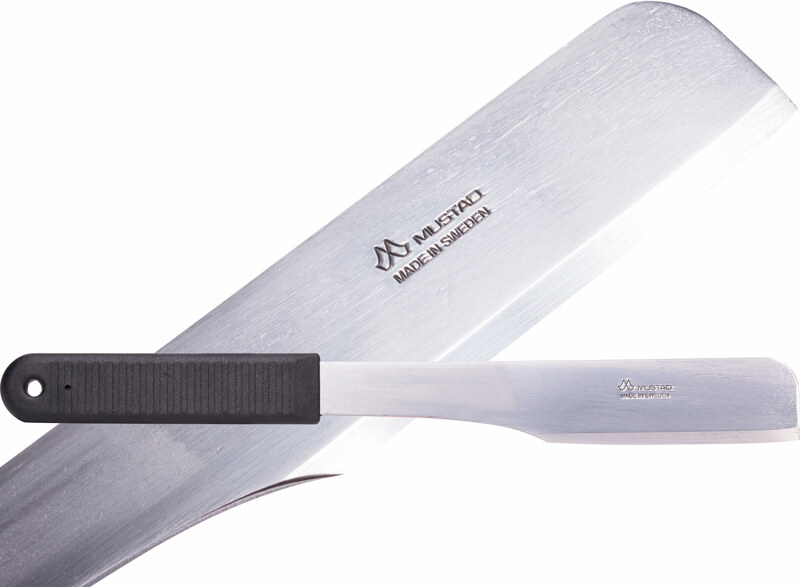 These high alloyed and forged blades from Sweden are extremely durable and have a good basic sharpness. It is recommended to use a soft hammer made of plastic, wood, or leather when cutting the horn. The use of a metal hammer is not recommended; it can cause dangerous metal splinters. All toeing knives have a wide, comfortable plastic grip, also reducing shocks and vibrations. don't use a metal hammer to drive the blade. Risk of injuries!